When you need top performance on the road, you don’t have to look further than the ON Cloudflow Running Shoes. These lightweight shoes won’t hold you back, and in fact, may propel you forward! They feature ON’s signature CloudTec® technology that puts small “clouds” under your foot, 18 to be exact. These springy clouds will dampen your impact, keeping your feet comfortable, and spring you forward for some added performance. 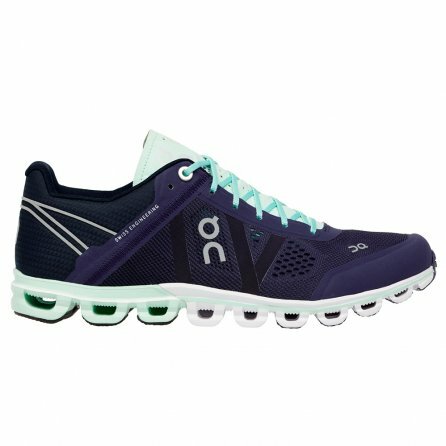 The ON Cloudflow Running Shoes also offer breathable mesh with an antimicrobial treatment so you won’t have to worry about the day's mileage catching up with you.